ANZ Sail Fiji: One month to go! Home/All News, ANZ Sail FIji/ANZ Sail Fiji: One month to go! It might be International Star Wars Day, but to us, it’s the one month reminder to the start of the 2016 ANZ Sail Fiji Offshore Yacht Race! At 1100 hours on Saturday 4th June, the start gun will be fired from the HMNZS MANAWANUI signalling the start of Royal Akarana Yacht Club’s 22nd race to Fiji. Entries are still open, but to date there 16 entries. 12 racing yachts, two offshore multihulls and two cruising boats set to make the journey to the warmer tropical climate. Blink, a Shaw 12 that races from Royal Port Nicholson Yacht Club in Wellington, is on of the 16 boats entered into this years event. “We had a crew meeting last night to finalise a lot of details before we get the boat ready for the delivery north to Auckland. There was a lot of excitement in the room!” said Wells. Blink. Photo by Chris Coad. 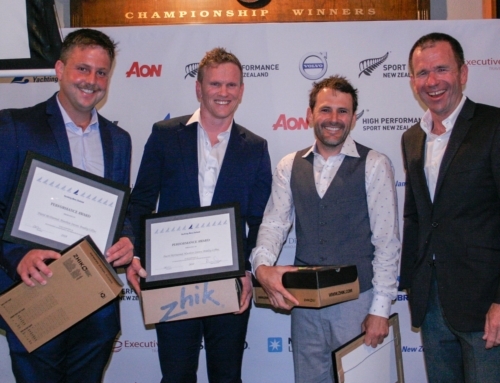 While ANZ Sail Fiji might be Blink’s first real offshore adventure, the boat did complete, and win, the 2014 SSANZ Round North Island Race. Craig Partridge who built Blink is a crew member on board for this race. “The boat is built for offshore racing. That’s what it was designed for and that’s what this boat excels at. Carbon fibre construction with a canting keel but then the luxuries of hot and cold running water and an enclosed head and shower! Blink is a Ferrari!” said Partridge. Partridge was asked how he thought Blink will go up against similar boats Anarchy (YD37) and Crusader35 (Elliott35ss). “Let’s wait and see! It’s all about the wind Gods! You think you’re going to nail it, but then everything changes,” laughed Partridge. “I think this is my fourth time to Fiji, and I just can’t wait to get there again,” continued Partridge. 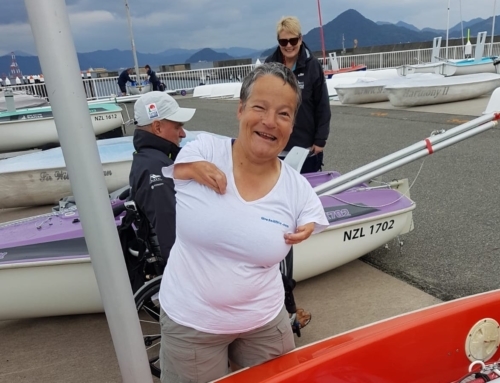 While there is a lot of excitement amongst the crews about sailing through Nomi Passage and onto Port Denarau Marina in Fiji, there is also a very serious side to the race. On Thursday 12th May commencing at 1900 hours, Royal Akarana Yacht Club will host it’s third seminar regarding the race, focusing on safety and horrific stories from the sea. Special guests include Tony Rae who was on board Team Vestas Wind when she ran aground on a reef in the middle of the Indian Ocean during the previous Volvo Ocean Race. Rae will show some additional footage from what happened that fateful night, and how he and his crew managed to come out of that situation with just a few minor scratches and bruises. Fellow special guest to the seminar is Kurt Boyle, who during the 2012 Round New Zealand Two-Handed Race, made what he thought was his final call to his family. Boyle contacted his family and said “goodbye” as his Stewart 34 was filling with water at a dramatic rate, and there was no assistance in the immediate area. Boyle and his crew member were in 70-90knot winds. They thought it was over. Chances of things going dramatically wrong are quite low, however everyone does need respect the ocean and all that she throws in a yachts awaiting path. The lure of sunshine, palm trees and refreshing ales is what gets us there, but the passion for offshore racing is the reason these boats will line up for the start. With use one month to go, boats and crews are finalising their paperwork, sorting our food and ration requirements, and are ensuring their boat and gear is ready for whatever might be thrown at them.